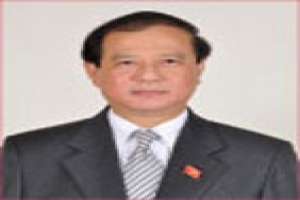 "Our strategy is designed to help build global recognition of Southeast Asia as a competitive, world-class tourism destination," said Dr Surin. "Our focus is on drawing visitors to the region and encouraging them to visit more than one country. As each has its own own unique attractions, we will capitalize on the sophisticated marketing capacity and resources of our individual national tourism organizations to spread the word." 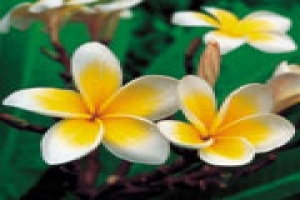 Niche and mass market promotions will go hand in hand. ASEAN Tourism Marketing Working Group Chairperson, Mr Sansern Ngaorungsi, who is also Deputy Governor of the Tourism Authority of Thailand said: "While ASEAN's niche, tactical campaigns will target sectors such as adventure, experiential, business and long stay, and show the diversity of ASEAN, mass tourism demand for mainstream attractions is expected to keep growing and bring important economic benefits to ASEAN destinations." One niche sector, cruise is being favoured by ASEAN because riverine and sea cruise ships usually visit more than one destination. To promote cruise ship activity in ASEAN, Singapore is organizing the "Cruise Shipping Asia Pacific 2012" forum on 17 September in Singapore. 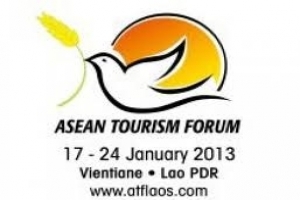 Southeast Asia NTOs will also be emphasizing the grouping's marketing plan at the ASEAN Tourism Forum which will take place in Vientiane, Laos 17-24 January 2013. 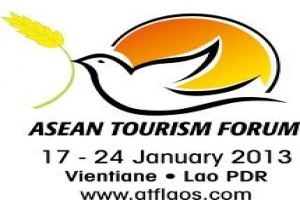 Over 1,600 delegates will include some 150 ASEAN tourism ministers and officials, 800 ASEAN exhibitors, 400 international buyers, 150 international and local media and 100 tourism trade visitors.